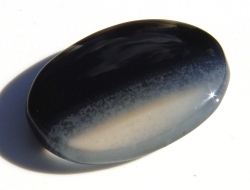 Agate is a banded colored stone found in nodular masses associated with volcanic lavas. 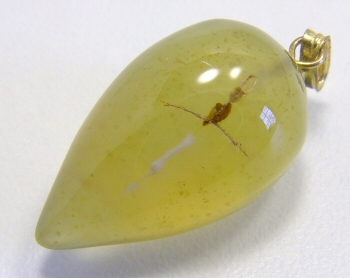 The curved banding is distinct from other forms of chalcedony. 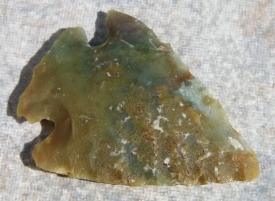 Agate, being porous, is often dyed or stained. Large agates are often cut in half and dyed to form attractive bookends. 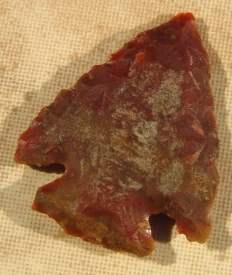 Agate occurs in a variety of forms, including petrified wood, which has had it's organic matter replaced by agate. 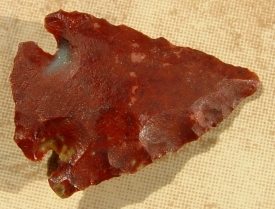 Agate is often dyed with bright colors. 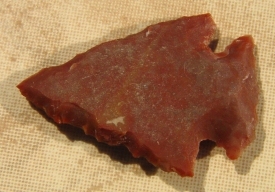 Agate is a member of the Chalcedony gemstone family. Part is clear and translucent. With areas of black and white. With areas of lighter brown. With areas of lighter brown and white. Blemish and scratch on the side. Non- returnable. 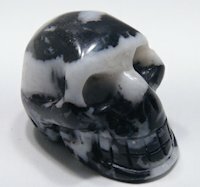 Black with areas of white. 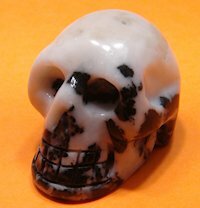 White with areas of black.